It gives me immense pleasure to visit this beautiful region again and to take part in today’s event. My mind still reverberates with the overwhelming welcome you all extended to our Hon. Prime Minister Modi in May 2017, not far from here in the Norwood grounds. Today we are handing over new houses constructed under the Indian Housing Program to around 155 beneficiaries in the village named after Late Mr. V. K. Vellayan. Sri Lanka is our special neighbour. Our assistance in housing sector is one example of our special ties with Sri Lanka. 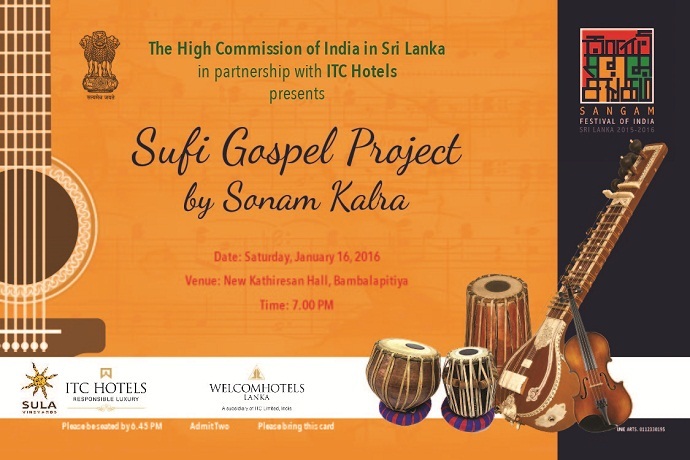 Sri Lanka ‘houses’ the largest grant project ever undertaken by India in any country abroad. The total number of houses committed by India in Sri Lanka stands at 63,000. This is under grant assistance which comes to close to SLR 50 billion. Out of these, we have already completed construction of 47,000 houses in Sri Lanka. It has been a truly amazing journey. You would recall that in August last year, we had the privilege to hand over the first lot of houses constructed under the Indian Housing Project to the beneficiaries in Dunsinane Estate. Prime Minister of Sri Lanka Hon. Ranil Wickremesinghe also graced the occasion. We also had the privilege to listen to Prime Minister of India H.E. Narendra Modi’s message. Early this year in January, we handed over 150 completed houses to beneficiaries in Dayagama West Estate. Today’s event is a continuation of that process. You are today proud owners of land along with new independent houses. I am happy to note that in other estates as well, [especially in Hellbodde and LedgerWette Estates] the construction of houses is complete and the same will also be handed over in the coming days. Under Model Village Housing Program, we are cooperating to build 1200 houses in the Southern Province. This is in addition to the houses being built under Indian Housing Program. You are an important bridge which connects our two great nations. We see in you, embodiment of fearless courage and indomitable will to move ahead, against all odds. If Ceylon Tea is famous today the world over, it is because of your tireless efforts. I am sure Sri Lankan Government recognizes your priceless contribution over the years. Our connect with you is not new. Many of you, may not know, our Assistant High Commission was set up in Kandy in 1923 much before the Diplomatic Mission in Colombo. This was basically to help your forefathers. We set up the Ceylon Estate Workers Education Trust (CEWET) way back in 1947 to encourage students in upcountry. Our connect has also grown over the years. We have set up a new District Base Hospital in Dickoya. We have established English language laboratories in Kandy and Bandarawela; several vocational training centres in Nuwara Eliya, Helbodde and Hatton; science labs in several plantation schools; and creches in plantation areas. Most recently, the 1990 free Emergency Ambulance Services was extended to Central, Uva and Sabaragamuwa Provinces. Construction of new buildings at Saraswathy Central College in Pusselawa is under progress. You would recall that the largest University Auditorium in Sri Lanka was built under Indian assistance at Ruhuna University, Matara last year. We want to see smiles in each of your faces. With this aim, India has undertaken people-oriented development projects across the Island. India has completed 70 such people-oriented development projects and about 20 more are currently under progress. All these projects are under pure grant- these are gifts to you from people of India. In a week’s time, you will all be celebrating Maha Sivaratri in your new homes. As High Commissioner of India to Sri Lanka, I can say that I am truly touched every time I meet all of you…I also grew up in the Hills, and feel a personal connection. May God bless you all.